The choice is easy, choose the Ebonite Choice bowling ball. Ebonite took the proven Centrex Symmetrical Mass Bias core and adjusted the shape to lower the differential and introduce the Mod-1 Core. This core creates easy length through the front of the lane and allows for great continuation down lane. 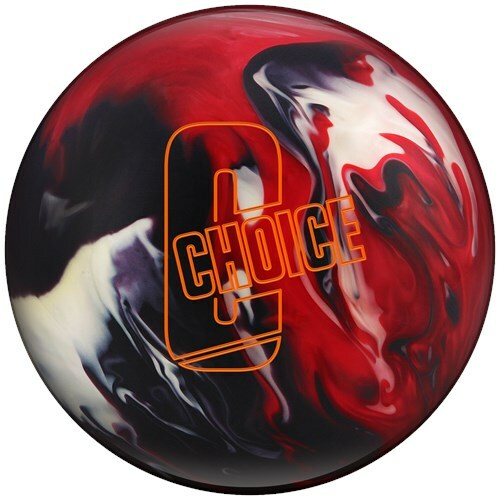 The Choice combines this core with the GSV-1 coverstock which is a decendent of the coverstocks used in the successful Game Breaker series of bowling balls. This high performance bowling ball is a great choice for heavy oil. Similar Balls: Same Hook Potential, Lane Conditions & Coverstock as the Ebonite Choice. There is only one Choice! Ebonite knows how to make bowling balls that change directions, without giving up the control that is needed to control the pocket. The Choice is no exception. The Choice is the perfect blend of hook, power, and control. 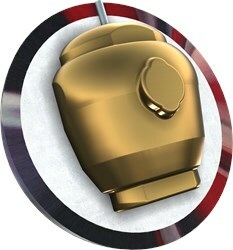 With enough hook potential for oil, the power needed for pin carry, and the control necessary to reach the pocket. There is only one "Choice"! Handles the heavy oil and hooks in the backend. The Choice fits in-between the verdict and the verdict pearl in terms of hook and shape. Grips the lane and destroys the heavy oil patterns. This ball is what Ebonite has been missing in their High Performance line. Like the Verdict, this ball can pick up in the oil and give you predictable ball motion on long and heavy oil patterns. The key difference is the back end motion. The Verdict read the midlane and then rolled smooth off of the spot, where as the Choice has a more angular motion off the end of the pattern. I drilled mine Pin down under my bridge making it a 5" pin to PAP. It is the first ball out of my bag in league and tournaments. I highly recommend this ball. The new Ebonite Choice will be a nice piece in my arsenal. I've practiced with it at 3 houses and the result was very similar. It gets through the front part of the lane very smooth. I was worried by the dull surface but it cleared easily. Once it comes off the oil it picks up quickly and goes into a strong controlled roll. Shots I thought I hit too hard or got to the friction too soon did not jump too hard. For me this ball blends the shot out. I am looking forward to getting on a sport pattern with more volume. I think ball will really shine there. The Roto Grip Halo will be more aggressive for it has a solid coverstock and the Ebonite Choice will have a hybrid coverstock. Due to the time it takes to produce the Ebonite Choice ball it will ship in immediately. We cannot ship this ball outside the United States.